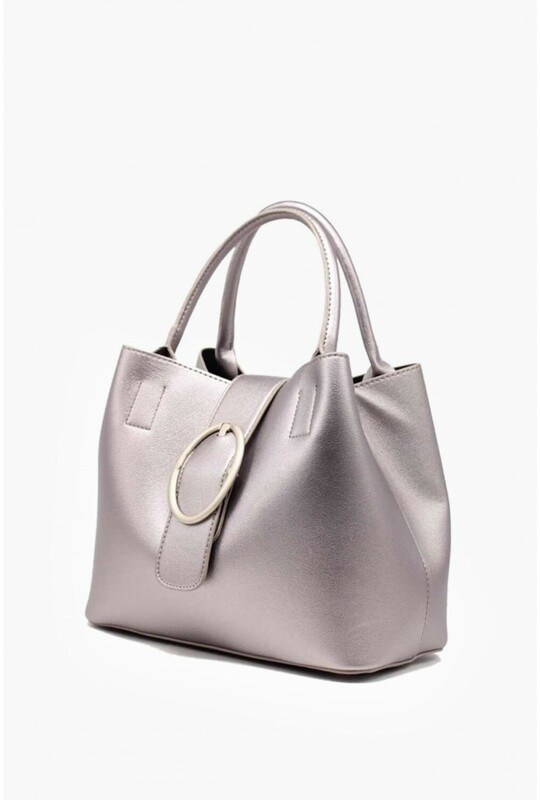 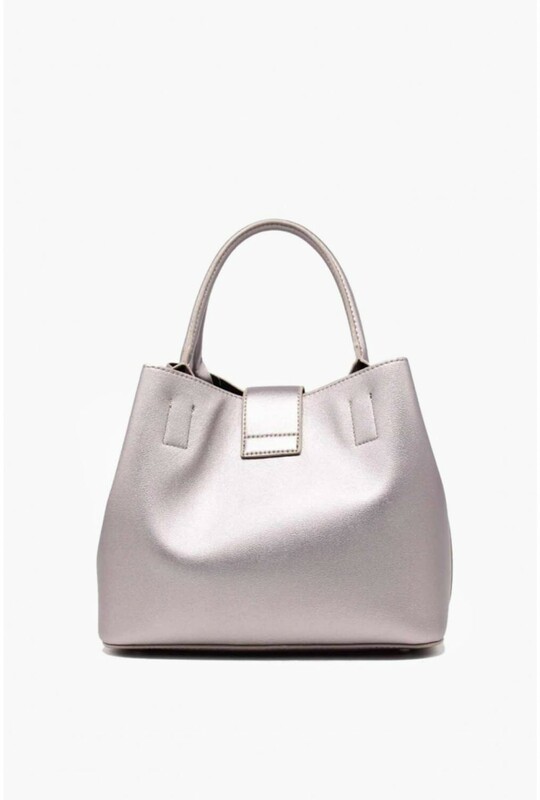 This tote bag in metallic silver is an easy way to complete an outfit. 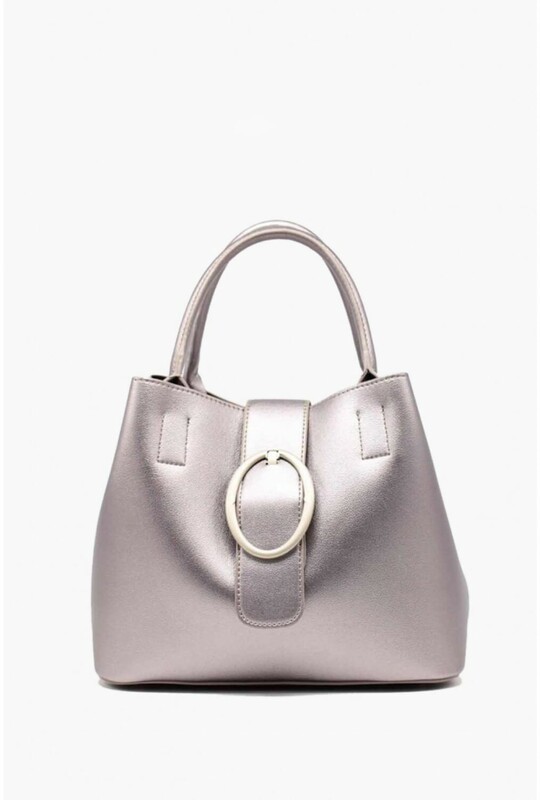 Featuring buckle detail and an optional shoulder strap for convenience. 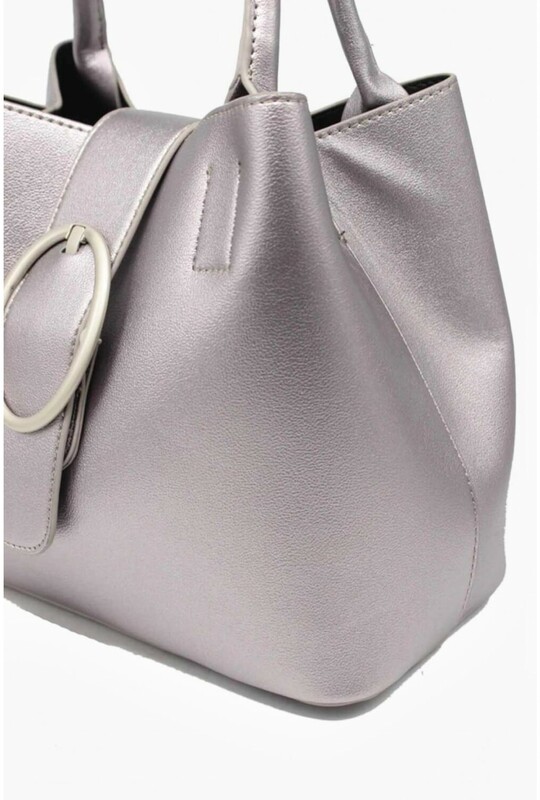 The perfect bag for day-day use.